Dental implants are the most advanced replacement for missing teeth available. This procedure offers a permanent replacement for missing teeth, with results that look and feel like your own natural teeth. Dental implants involve the surgical placement of titanium posts in the jaw, and the subsequent placement of natural looking and feeling replacement teeth on those posts. If you would like to learn more about dental implants offered in Troy, Bloomfield, Royal Oak, Rochester Hills and surrounding Detroit areas, contact the professionals at the Cosmetic Dentistry Institute for an implant dentistry consultation. At the Cosmetic Dentistry Institute, our team of professionals provides for all of our patients' dental implant needs. As members of the International Congress of Oral Implantologists, we are highly skilled in the surgical implantation of dental implants and offer a variety of types of implants. As cosmetic and restorative dentistry professionals, we are ideally suited to provide natural looking and durable replacement teeth to be placed on the implant posts. Dental implants are an ideal solution to replace missing teeth and restore a patient's smile. If you are considering dental implants, our Troy, Michigan implant dentistry professionals can help you explore your options. Obtaining dental implants typically requires three visits to our Troy, Michigan practice. During the first visit, you will speak one-on-one with one of our experienced oral implantologists. It is at this time that you will learn all about the procedure and undergo an analysis of your candidacy for implant dentistry. If you decide that dental implants are right for you, it is during the second visit with our professionals that you will undergo dental implant surgery. During this appointment titanium posts will be implanted in the jawbone, where they will permanently fuse in a process known as osseointegration. Not all dental practices provide this surgical procedure; requiring patients to go to two different offices to complete the treatment. As experienced oral implantologists, the professionals at our office are able to provide for all your dental implant needs. This provides a number of important benefits, not the least of which is the ability to obtain all care from a single team of professionals who know your smile best. After the second office visit and the surgical implantation of dental implants, the titanium dental implant posts, it will take about six months for the implants to fuse to the bone. This process is the key to dental implants' strength, and it can take up to six months for fusion to be complete. During this time we will provide natural-looking temporary dental restorations, making the transition to permanent restorations as easy as possible. It is during the third visit that the implant dentistry process is completed. This will involve the placement of natural looking and durable replacement teeth on the dental implant post or posts. 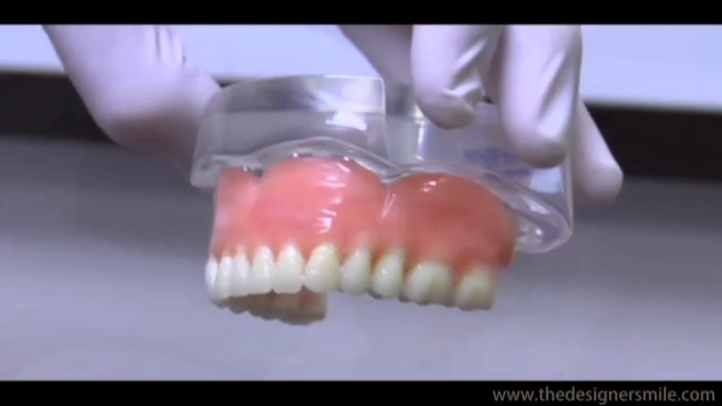 These replacement teeth are designed with each patient's unique aesthetic needs in mind. After a replacement tooth is firmly secured to a dental implant post, the process is complete and you can enjoy your new smile. Our patients have found dental implants to be an exciting development in the art of replacing lost teeth. The previous treatments of choice — dentures and bridges — had several disadvantages; bridges can fail and dentures can fit poorly and be a hassle to maintain. Dental implants have none of these drawbacks. At the Cosmetic Dentistry Institute in Troy, Michigan, we take pride in offering high quality dental implants and implant dentistry treatment. With dental implants, the dental problems caused by missing teeth can also be a thing of the past. Missing teeth can damage the health of your jaw as teeth "crowd" in toward the space where one or more teeth are missing. Missing teeth can also negatively affect a person's appearance and keep them from enjoying their favorite foods. If you would like to learn more about dental implants, contact our Troy, Michigan practice serving Bloomfield, Rochester Hills, Royal Oak and other Detroit areas, for an implant dentistry consultation. We will be happy to help you determine if this state-of-the-art procedure is right for you. We can also discuss the cost of the procedure and your financing options during your appointment.